Opportunity Cost Of Earning Globalist Status Through Credit Card Spend? One of the intriguing things about The World of Hyatt Credit Card is that you can earn Hyatt’s top tier Globalist status exclusively through credit card spend, which wasn’t previously possible. Not only does this card help to fast track you to status, but you could earn Globalist status entirely through credit card spend, if you wanted to. Now, I don’t think you should earn Globalist status exclusively through credit card spend (as I’ll outline below), but I think a hybrid approach could make sense. I’ve already written a post about the general things to be aware of if earning Globalist status through credit card spend, though wanted to look at the math a bit more closely. How much do you have to spend to earn Globalist status? Hyatt Globalist requires earning 60 qualifying nights in a year, or if you’re requalifying for the status, it requires only 55 qualifying nights per year. This means that if you’re starting from scratch you’d have to spend $140,000 to earn Globalist status with Hyatt. This assumes you don’t have any Hyatt status yet. That’s because you earn five qualifying nights just for having the card, and a further two qualifying nights for every $5,000 spent. Therefore $140,000 of spend would earn you 56 qualifying nights, plus the five you get just for having the card, for a total of 61 nights. Requalifying for status would required $125,000 of spend, since that much spend gets you 50 qualifying nights, plus the five you get just for having the card. Hyatt counts award nights towards status, and just for having The World of Hyatt Credit Card you get a free night every year, plus the opportunity to earn a further three nights for spending $15,000, earning Explorist status, and earning Globalist status. On top of that, presumably you want to earn Globalist status because you actually intend to stay at Hyatts with some frequency. Hotel status is worthless if you don’t actually stay at that brand with some frequency. To be realistic, let’s assume that long term you’re earning 20 elite nights per year through actual stays. There are so many great Globalist benefits to use (like confirmed suite upgrades and your free night certificates), so if you’re staying at Hyatts less than that I question whether Globalist is worth it for you. That means spending $75,000 would earn you a total of 35 elite nights (five for having the card, plus 30 for spending). So I’m going to go ahead and assume that this is the practical “spend” required to earn Globalist status through the card, though everyone can adjust the numbers up and down as they please. What’s the opportunity cost of $75,000 of spend? I think the best return you’ll get on non-bonused everyday spend is having the Chase Sapphire Reserve® Card and Chase Freedom Unlimited®, since the latter offers 1.5x Ultimate Rewards points per dollar spent on base spend (it’s my favorite credit card duo). So spending $75,000 would earn you 112,500 Ultimate Rewards points. I value those at 1.7 cents each, so to me those rewards are worth ~$1,913. 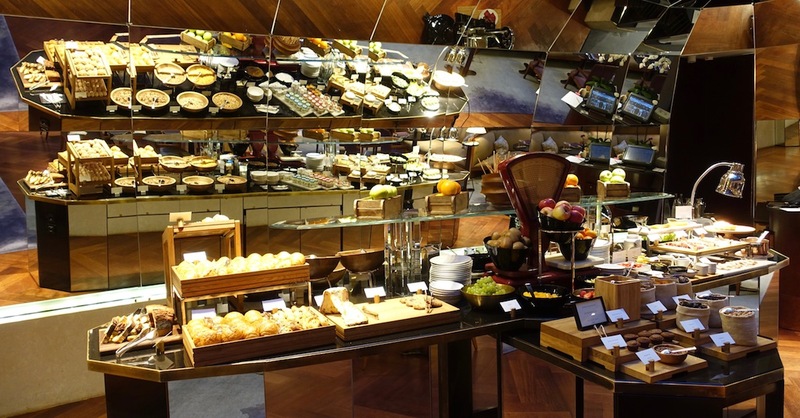 How much value would you get for spending $75,000 on the World of Hyatt Credit Card? If you spent $75,000 in non-bonused categories on The World of Hyatt Credit Card you’d earn 75,000 World of Hyatt points. I value those at 1.5 cents each, so to me those are worth $1,125. I want to be as accurate as possible here in terms of looking at incremental perks, so I should note that you get a Category 1-4 free night certificate just for having the card, so that isn’t dependent on actually spending any money on the card. 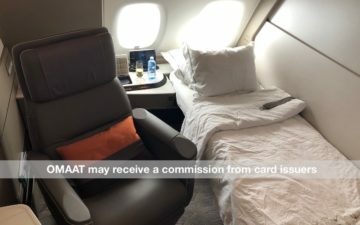 I view the difference in value between the Freedom Unlimited and World of Hyatt Card as being around $800 for that amount of spend based purely on the value of the points. So the question is, do you value the three free night certificates, four Globalist suite upgrades, and all the other Globalist perks, at ~$800? Personally I think that’s extremely compelling, but others may disagree. Obviously not everyone can spend $75,000 on their credit card in a year. All of these number crunching exercises assume that you’re someone who would actually spend that much in non-bonused categories, which I know excludes many people. However, there’s never going to be number crunching on this blog that applies to everyone. Some have argued that there’s no way it’s worth it to spend this much on The World of Hyatt Credit Card given the alternatives out there, though personally I disagree. While it takes a certain type of traveler, I think the sweet spot with this card is those who would naturally stay 20-30 nights per year at Hyatts (including free night redemptions), and therefore would benefit from earning Globalist status. Is anyone planning to earn Globalist status with the World of Hyatt Credit Card? I am going to do it this year. I was a Hyatt Diamond for 4 years, but made it through stays, not 60 nights. Last year I qualified as Globalist using the 4Q 15 nights deal. I have 28 stays so far in 2018, and will probably get about 5 more. I just upgraded to the new card, and plan to put as much spend on it as I need to make Globalist. I love the Hyatt benefits but find it really hard to make Globalist every year on nights given the very small footprint. FYI I find it easy to qualify as Hilton Diamond every year. Absolutely. I do like Hyatt Propeties and top tier status. I was a long time 25 stay Diamond and due to the footprint can only plan get to 30 or 35 nights most years, though sometimes may far surpass this number. I do maintain SPG/Marriott Platinum and Hilton Diamond too. I did the product change last week to the WOH card and spent $15 K on it this week. The WoH V will easily ensue that I can renew globalist status each year. I have a vast array of cards to put spend on and fully recognize the benefits of Freedom Unlimited, one of my favorite cards, but I’m already spending more then 250k a year on that card and don’t feel comfortable increasing that number. I prefer to diversify. Very pleased with the new changes to the WoH Visa. Nice analysis. Maybe “there’s never going to be number crunching on this blog that applies to everyone,” but the careful, step-by-step methodology you use can be applied to a lot of card spend decisions. …a HUGE footprint that offers nearly unlimited redemption options around the globe. Self-anointed gurus are working hard to rehabilitate WoH, hoping it would fill the void that the demise of HGP and SPG left in their self-esteem. However, anyone who has been paying attention and avoided the kool-aid should know better and not be fooled…again. I have already switched to the new card and will supplement stays with spend. Last year I only requalified with the 20 nights in a quarter promo. I naturally hit 40-50 nights. So card spend should get me over the 60 night fence. This was really really well done analysis. Thanks. To me, the real conclusion will be when you post next year your strategy for requalifying. Are you really going to do 55 nights with Hyatt when you’ve discovered you love Aman, Four Seasons, your husband’s Virtuoso benefits, etc.? And when Marriott is asking for 100 nights plus $10K? My gut tells me we will see a post in which you announce you’re going to aim for 34 head in bed nights and you’ll spend $40K for the rest… That’s my over under on your relationship with Hyatt. to spend $75K I will need to dip quite a bit into bonus category spends. To assume I can spend $75K all on non-bonuses categories is a bit…huh…unrealistic. To me the opportunity cost is way higher since i’d be giving up on 3 UR per dollar on dining and travel and maybe also 5 UR on Freedom cards. What is your credit card strategy now? I think you also have the Chase Sapphire Reserve to go with the AMEX Hilton Aspire. Is there any other card you actively use? How do you split the spend? Are you still using United cards? My biggest issue is with non-bonused spend where the AMEX Hilton cards do not provide a return exceeding 2%. Ours goes on a Citibank Double Cash card. 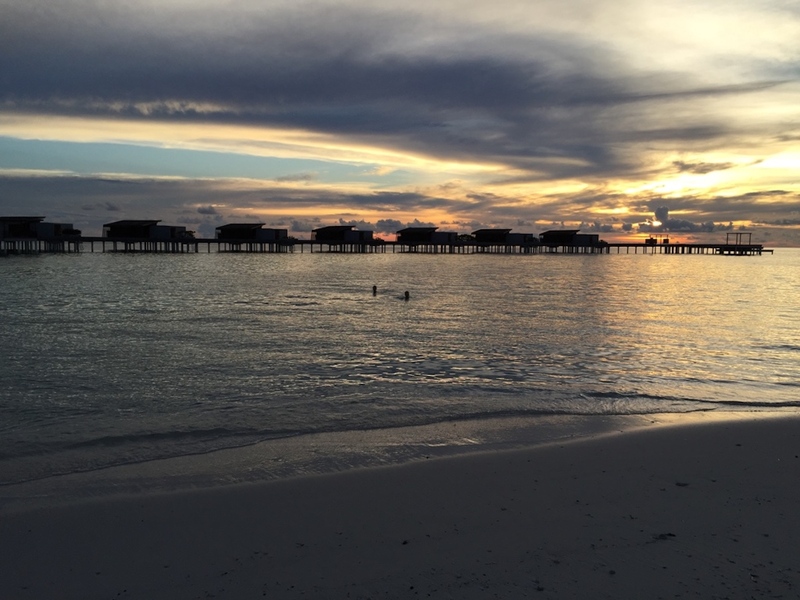 An AMEX Blue Business Plus is the best for getting Hilton points on un-bonused spend. I will spend my way to Globalist in January-February 2019 and thereby earn the status for two years. Using your math, the three free night certificates are worth 60K Hyatt points = $900. If you like the Hyatt and have the spend, it’s a clear yes. Has Hyatt confirmed that doing this would even give you the suite upgrades? The sites clearly states “Stay 60 qualifying nights or earn 100,000 Base Points in a calendar year”. Thanks! Don’t you think you have pushed this card enough this week…write something for your readers, not yourself. Loyalty Lobby this week has written an extensive series on how to save points with the new Marriott rewards structure and the only thing you’ve accomplished this week is pushing the Hyatt Credit Card…give it a rest. Actually $3500 to $5000 less I would imagine. If you stay 20 nights at an average rate with tax and fees of $175 to $250, that is an extra $3500 to $5000 you would presumably put on the card for the Hyatt bonus. 12k in economy. Are you an avgeek? I agree with @idahost that Lucky is pathetic in terms of how badly he’s pushing this card this week. For once I also agree with @DCS that this series of posts is even more pathetic while he continues to ignore the Hilton AMEX Aspire, which is much more compelling since you don’t needn’t to spend $140,000 or $75,000. If I am traveling 75 nights, I earn enough to buy my own vacations. If I travel 75 nights , I want to stay home! Great question, and thanks for asking. – The CSR for all dining and travel to earn UR points @ 3x. – The Chase Ink Biz Cash for use at office supply stores and for my recurrent internet/cable and phone bills, which can be sizable, to earn UR points @ 5x. – The Chase Freedom Unlimited visa for everything else to earn UR points @ 1.5x. – The AMEX Hilton Honors Aspire card for all Hilton-related spend to earn Hilton Honors points @ 14x, which is virtually unbeatable. This card also now gets me the Hilton Honors Diamond status for just $450/year where I used to spend $12K per year – simply unbeatable. – The Chase WoH visa for all Hyatt-related spend to earn WoH points @ 4x, which now unbeatable and makes this card relevant again, after the introduction of the CSR had made it obsolete. With the strategy I just outlined it is not at all an issue that for “non-bonused spend the AMEX Hilton cards do not provide a return exceeding 2%”. I simply do not use my AMEX Hilton cards that way (‘opportunity cost’!). With the CSR earning 3X on travel, the strategy has also made all Chase United credit cards obsolete. I still fly almost exclusively with United, and enough to maintain my 1K status, so that in addition to the UR points I earn @ 3x for purchasing UA tickets with the CSR, the resulting (mostly long-haul) flights continue to earn me significant numbers of UA miles – tough to beat. Of course, what DCS will never tell you is that the Hilton upgrade policy only applies at select brands, and that there is no published upgrade benefit for anyone – including Diamonds – at HGI, Hampton Inn, and some of the other brands, which together make up more than half of the chain. Keeping that in mind, stating that Hilton has an “unlimited” suite upgrade benefit is laughable. If it makes you feel better, the good thing is that I do not need to tell anyone about Hilton Honors’ suite upgrades policy. Anyone who wishes to know about it can find it in the complete T&C online, and (mis)interpret it they wish. Why not, when everyone else, especially self-anointed travel ‘gurus’, (mis)interprets that and other T&Cs daily. I will not entertain. Not today. Now I am done. Knock yourself out. @DCS: Anyone who checks the Honors T&Cs will see exactly what I said – the upgrade benefit only applies at certain brands, and is non-existent at the ones I mentioned already (plus a few more). In reality, if anyone has said anything that is up to misinterpretation here, it’s you, DCS, for touting a supposed “unlimited” suite upgrade benefit that really is only unlimited if you’re staying at the 25 percent or so of properties (give or take) where the benefit might actually be available. After all, Hilton’s T&Cs make it abundantly clear that the benefit is subject to both availability and brand. The Chase Ink Business Cash makes a great companion to the Chase Sapphire Reserve. You have the three best Chase cards in my opinion. If you stay at each hotel chain frequently enough, each of the hotel cards creates its own bonus category which is hard to beat for hotel spend and benefits at each hotel. I had used a similar approach to both Marriott and Starwood in the past. We currently do not travel enough to warrant the hotel card approach and are concentrating more on the Chase Ultimate Rewards approach. Thank you for the response. Go on arguing your nonsense for as long as you wish. For some of us, there is no argument. I am not even sure why the % of properties that offer suite upgrades is relevant (or how your claim is accurate), as there are many properties that are all-suite in the numbers that you are throwing around. Moreover, I have never ever redeemed points at properties that offer no suite upgrades, so even based on your misinterpretation of “unlimited”, you have no point that anyone should pay attention to. Got it now or do you wish to be humiliated some more? @JimT – Yes, my approach works for me because I still travel extensively for business, usually to conferences for which I have no control over the venue. I often wind up staying at a Marriott, Hyatt or even Starwood property, rather than at a Hilton property, because conference organizers selected a hotel within those chains as the venue for a conference. For such stays, using co-brand cards makes sense because they would earn, by far, the most hotel points. The number of properties where the benefit applies is certainly relevant in your original claim that Diamonds are entitled to unlimited suite upgrades. When 40 percent of the properties in the Hilton chain are Hampton Inns (many of which also have suites) where Diamonds have no published upgrade benefit to said suites, then no, it is not an unlimited benefit (except in the eyes of DCS, who originally bent the definition of the word “unlimited” to suit himself and then had to revise his statement after I showed how wrong he was). Otherwise, DCS, the fact that you think the fact that you’ve never redeemed at one of those properties is somehow either a compelling or even a relevant defense shows just how much of a narcissist you are. Again, it’s not just about you. When 40 percent of the properties in the Hilton chain are Hampton Inns. I fail to see the reasoning here or the point behind it, but let me go along with it a bit. “When 40 percent of the properties in the Hilton chain are Hampton Inns”, then 60% are not Hampton Inns, and 60% of 5,000+ is 3,000+, which still a lot of hotels. Now do the same math with , e.g., Hyatt – take out Hyatt Places and Hyatt Houses; how many properties are left? 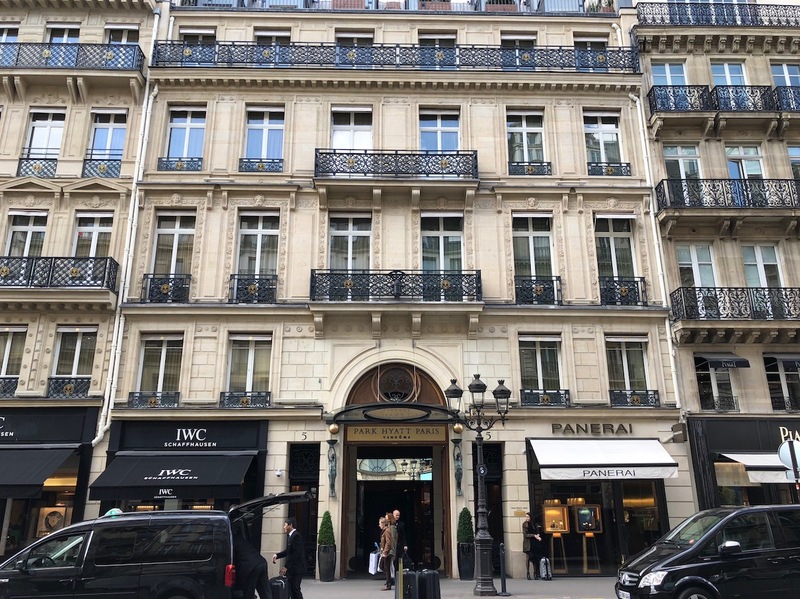 And yet, that tiny footprint of luxury hotels, we are to believe that the Hyatt Globalist status is the best thing since the discovery and taming of fire…. @DCS: “I fail to see the reasoning here or the point behind it, but let me go along with it a bit. First of all, congratulations on responding to a spammer. Second of all, the point of 40 percent of Hilton properties being Hampton Inns has everything to do with your ridiculous claim that suite upgrades are unlimited as a Hilton Diamond, in spite of the fact that suite upgrades, by policy, are limited to zero for any Honors member at Hampton Inn. (Also, I will admit my error on the percentage – it’s actually 2,317 Hampton Inns in the chain as of March 2018 out of 5,221 total properties, or between 44.3 and 44.4 percent). That adds up to 4,013 properties, or between 76.8 and 76.9 percent of the total, where upgrades are not offered by policy. That leaves just under 24 percent of the Hilton portfolio, not 60 percent. So much for “unlimited” suite upgrades for Diamonds. * Embassy Suites – 246 properties. For all other properties around the world, HH Diamonds enjoy “unlimited” complementary suite upgrade. Period. Torture yourself, twisting yourself into a pretzel if you like, but this is not some matter that would keep any SANE person awake at night. That it seems to mean so much to you is all you need to know to figure out that you should stay out. This medium is not made for unhinged folks suffering from OCD. Here’s the proverbial nail in the coffin. – Hampton Inn has mostly standard rooms, with limited numbers of STUDIOS. Therefore, the HH suite upgrade policy excludes properties that are either all-suite hotels or have no suites to offer, which makes sense. For all other properties around the world, HH Diamonds enjoy “unlimited” complimentary suite upgrades. This is one of those instances where Google might have helped DCS before he made statements where it was abundantly clear that he had no idea of what he was talking about. For example, DCS could have done a bit of research to see that many HIs are actually called “Hampton Inn & Suites.” In fact, 922 Hampton Inns are actually referred to as “Hampton Inn & Suites” by name. I’ll give you one guess as to why they have the “Suites” word in their name, and it’s not because they don’t have them. The only one of these statements you made that is even remotely close to factual is that Tru has no suites, which is correct. Since we’re talking about 12 hotels, though, omitting those from the totals is jettisoning 0.2 percent of the total Hilton portfolio, which is pretty close statistically to rounding error. And even though DCS wants to omit the all-suite properties (since people are already getting a suite), the fact of the matter is that at these properties, not all suites are the same. A person booking a studio suite at a Homewood Suites, for example, could theoretically get upgraded to a better suite – one with one bedroom, for example – and the same could go for the ES or Home2 Suites properties as well. The problem, though, is that they don’t because of the policy. And even if you want to omit those properties from the analysis, that doesn’t negate the fact that there are HGIs and HIs with suites where there is no upgrade potential per the policy, which again, shows that the “unlimited” suite upgrade argument is still wrong. Anything else that comes as part of the argument is nothing more than DCS shifting his definitions so that he doesn’t have to admit that he is wrong (as is his modus operandi). Man, you sure are a glutton for punishment! First you continue to misinterpret what is meant by “unlimited” suite upgrades, even though the context of its use has has already been provided to you. Second, why does this mean or matter so much to you? what do you stand to gain? Your nonsense has now been thoroughly revealed and debunked. @DCS: The only thing you have done is move the goalposts in an effort to not be wrong, because you can never ever admit when you are. The fact remains that suite upgrades with Hilton are not unlimited for Diamonds – your original claim, not mine – because there are suites for which an upgrade won’t happen per the policy. That, whether you like it or not, is a limitation. Again, the fact you cannot handle being wrong, and that you must go to such gyrations in a futile effort to avoid being wrong, is no one else’s issue other than yours. Stop projecting those issues onto me.